The testicular pain you're experiencing as a result of lifting weights is likely due to an inguinal hernia. Lifting heavy weights can lead to a weakened area along the lower abdominal wall, allowing fat or part of the intestines to descend out of the inguinal ring and into the scrotum. This places pressure on the testes, causing testicular pain. The pain associated with an inguinal hernia is often described as a burning or aching discomfort within the origin of the hernia, which, in this situation, is the testicles. Along with the testicular pain, it isn't uncommon to experience a dragging or heavy sensation in your groin. You may also begin to notice a slight swelling or enlargement of your scrotum. One of the more serious complications of an inguinal hernia, especially those that descend into the scrotum, involves something known as incarceration. When the hernia becomes stuck, it can actually begin to strangulate the affected area of the small intestines. This can deprive the tissue of blood and must be treated immediately. If you have an incarcerated hernia, you may also begin to experience a worsening of testicular pain as well as fever and rapid heart beat. Treatment of an inguinal hernia is typically dependent on its severity. Your doctor may first try to massage the hernia back into its proper position. If this fails to provide results, you may then need a surgical procedure to repair the condition. This can be done with either a herniorrhaphy or laparoscopic surgery. Both surgical procedures move the protrusion back to its original position and then repair the area where the fat or intestines have escaped. 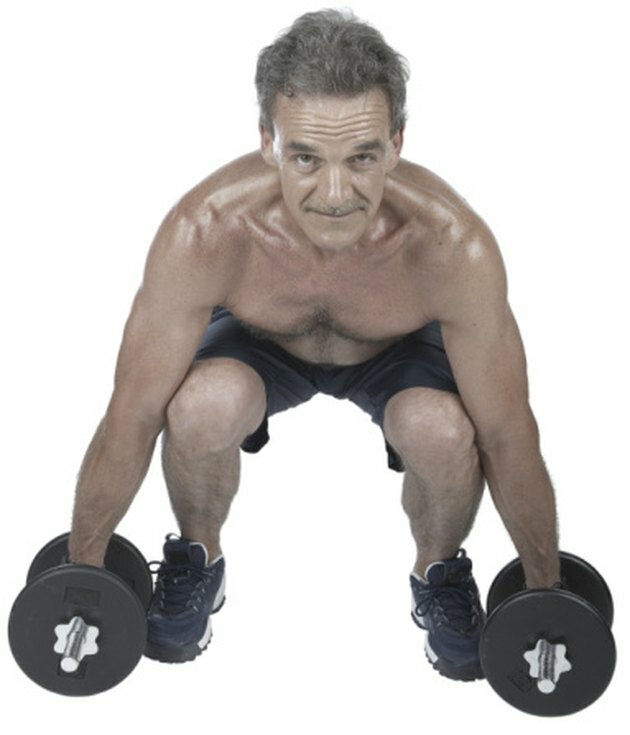 With weightlifting, the more effective ways of preventing a hernia are to use proper form and lift the appropriate amount of weight for your current strength. When working on your lower body, always bend at the knees. Never lift the weight from your waist, which can lead to abdominal strain and weaken the abdominal wall. You should also make sure the weight is properly centered with your feet before lifting heavier weights. Lifting more weight than your fitness level allows can also lead to abdominal strain, thereby weakening the abdominal wall.